Founded in 1970, Sunnyvale Community Services (SCS) is one step ahead in attracting early holiday shoppers even before Halloween. On Oct. 26-27, this non-profit emergency assistance agency hosted the SCS Auxiliary Holiday Boutique. Inside SCS’s facility at 725 Kifer Rd., a colorful, hand-stitched quilt hung on a wall as a raffle prize. Homemade jam, cookies, local honey and other treats sat on shelves. Other merchandise included handmade jewelry, paper goods, serving ware, holiday ornaments, wreaths, afghans, pillows, baby items, sports team paraphernalia, knitted hats and more quilts. 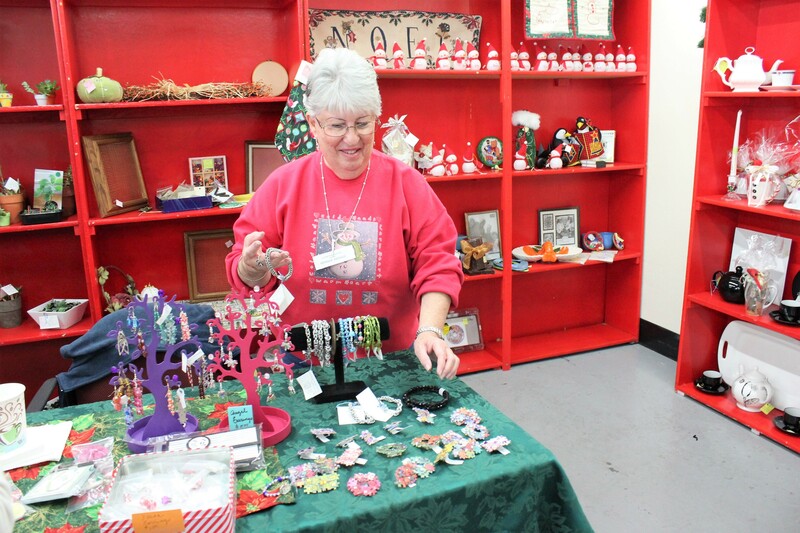 The boutique’s merchandise either came from outside donations or the hands of volunteers from the SCS Auxiliary. One hundred percent of proceeds from this event will go to SCS, which assists people in need with programs including food assistance, financial support, diabetes screening and management, back-to-school necessities and a holiday center. Volunteers with the SCS Auxiliary tabled the booths. This group shares a common interest in producing handmade gifts and homemade goodies. Carol Howell, President of the SCS Auxiliary, worked on the boutique’s raffle quilt, table runners and apricot jam. 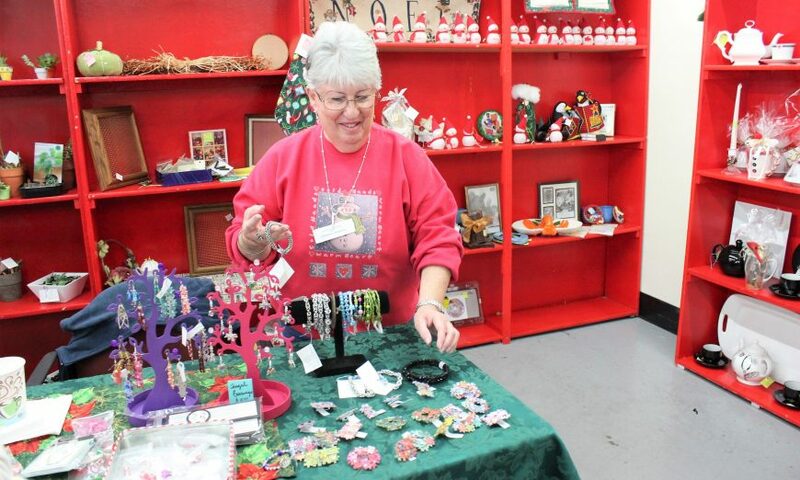 Howell shared that their Holiday Boutique has been an annual fundraiser for over 20 years. A content customer was Lynn Martuscelli, who came all the way from Half Moon Bay to shop the boutique. Martuscelli showed off a handmade afghan she planned to purchase. The next fundraiser SCS is hosting will be the Annual Holiday Auction on Nov. 15. Visit www.svcommunityservices.org for more information about SCS and events.